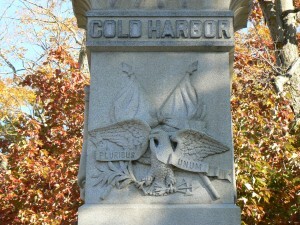 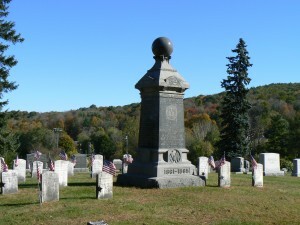 Winchester honors veterans of the Civil War, World War I and other conflicts with several monuments in Forest View Cemetery. 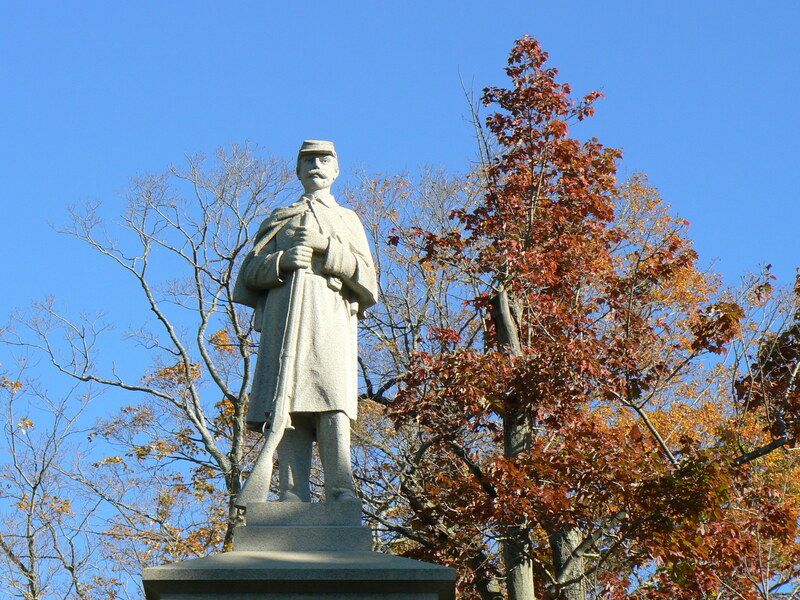 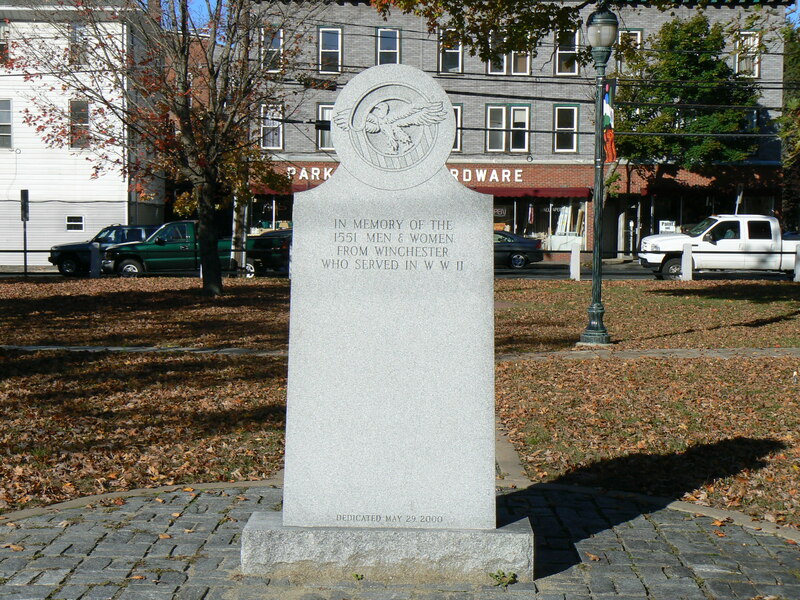 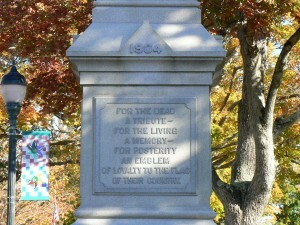 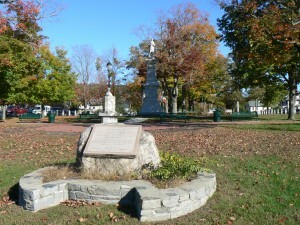 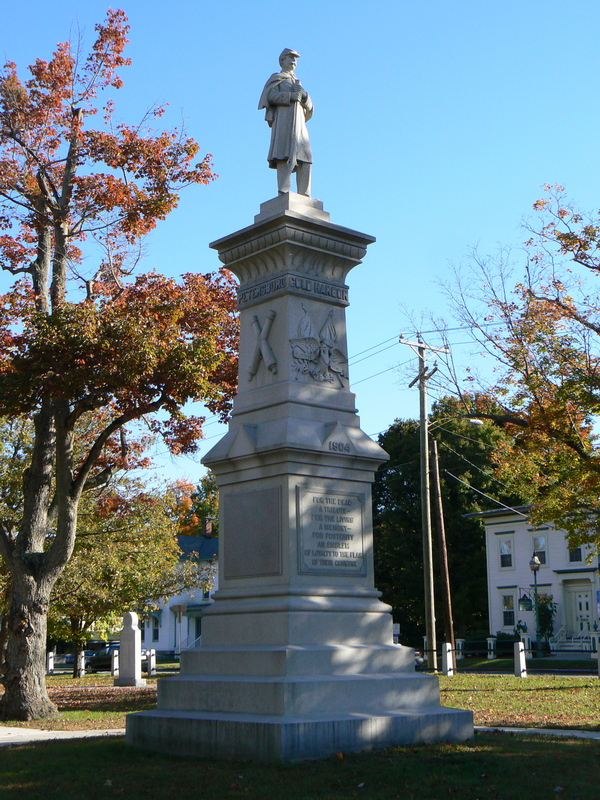 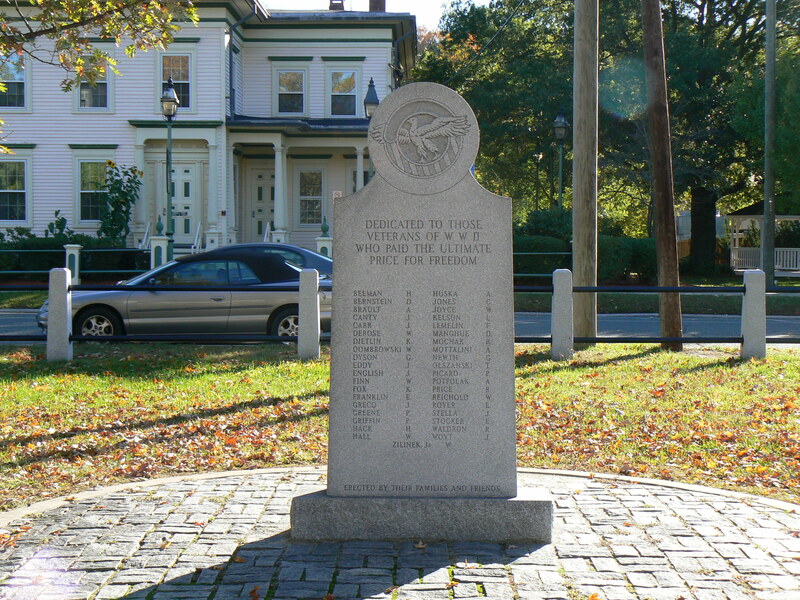 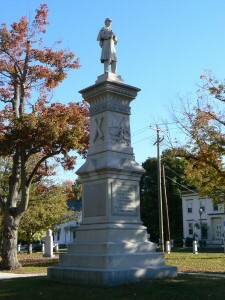 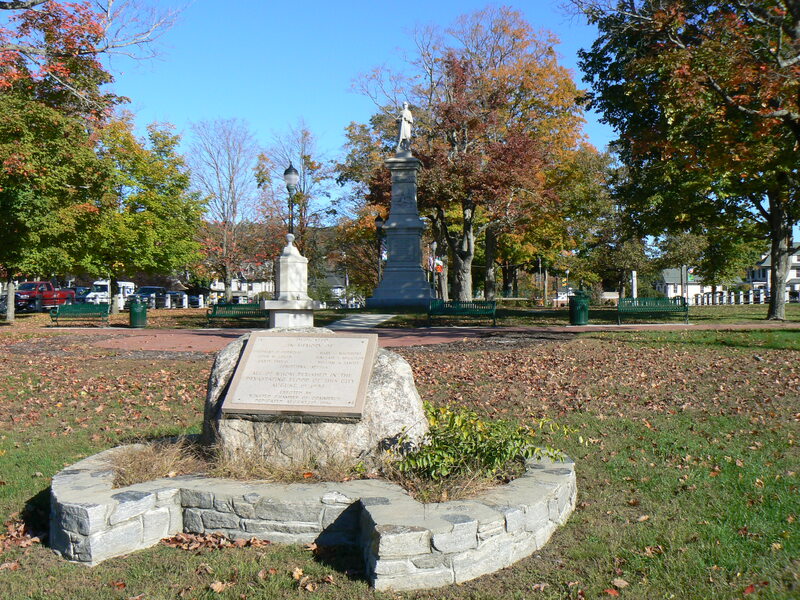 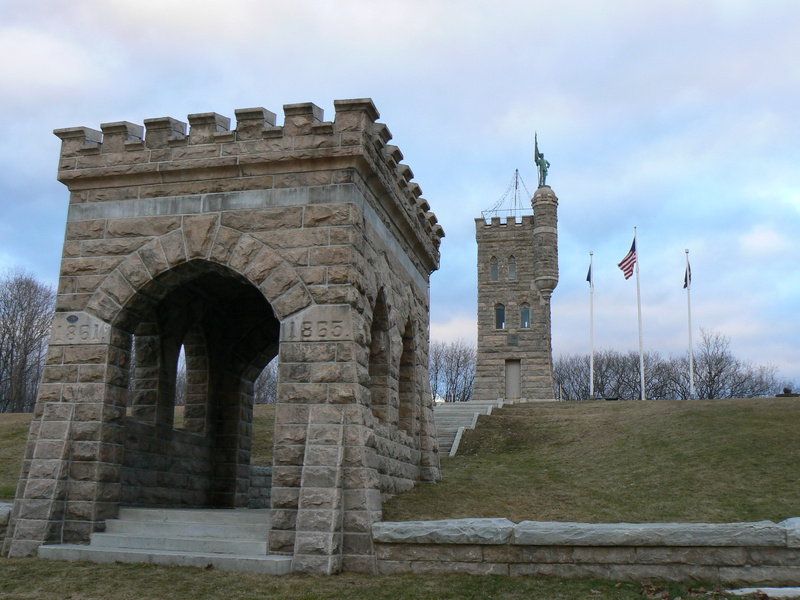 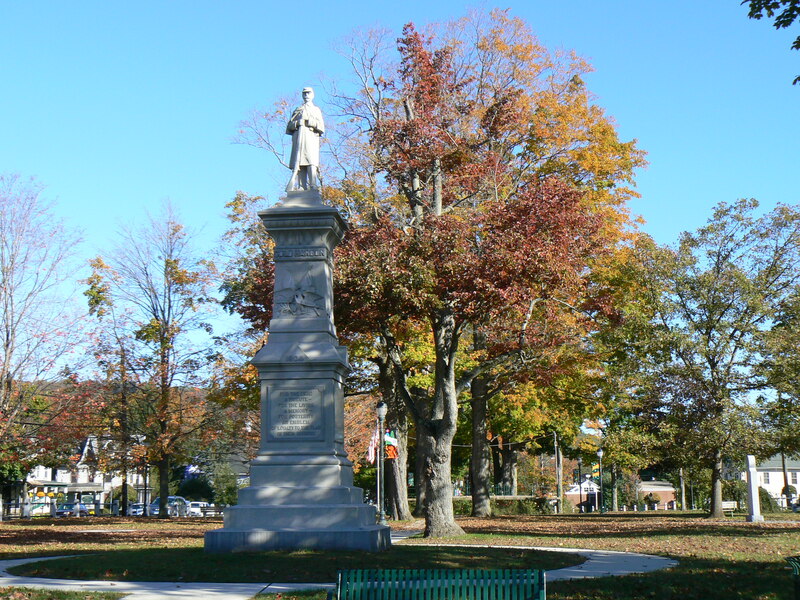 The Non-Repatriated Soldiers’ Monument, in the Winsted section of Winchester, was dedicated in 1900 to honor local Civil War heroes buried on distant battlefields. 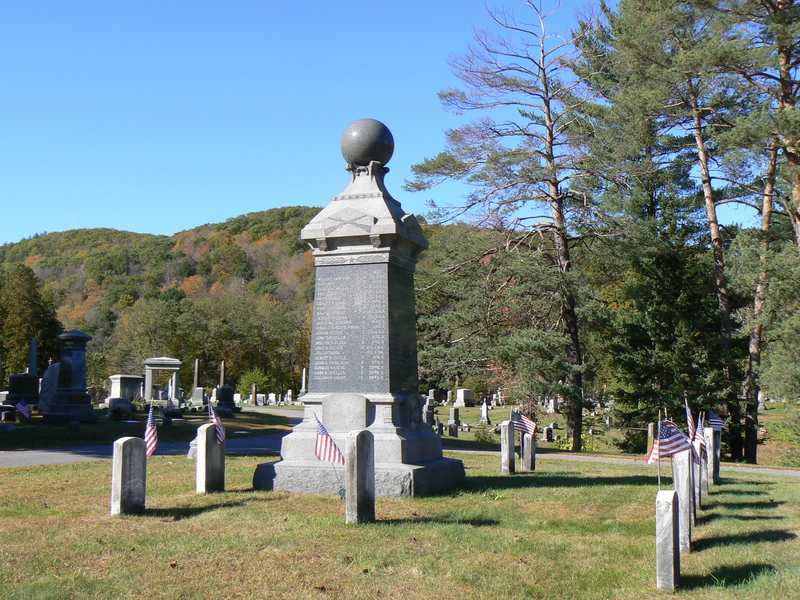 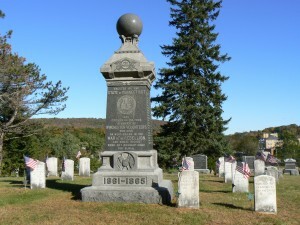 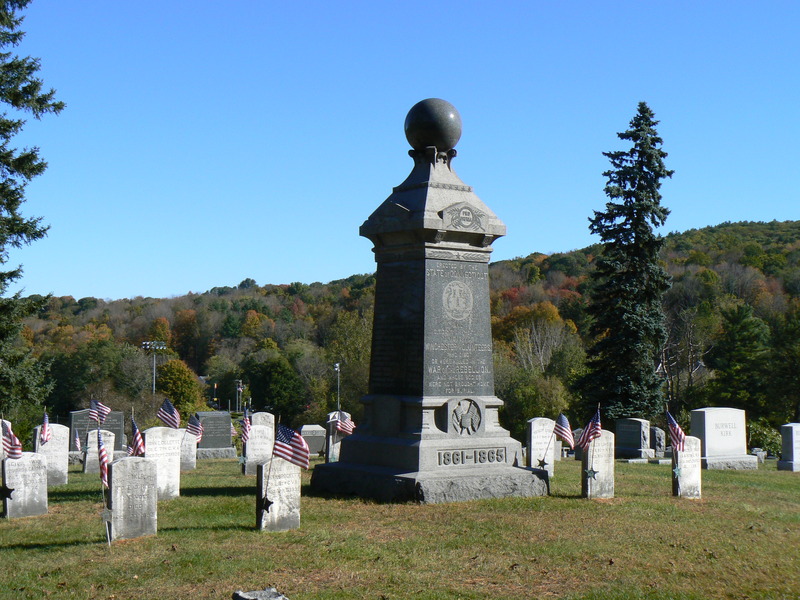 The dark granite monument, topped with a polished sphere, stands at the center of a section of the cemetery with 21 graves of Civil War veterans who died after war. The south face also bears the years of the Civil War, the U.S. seal and crossed flags, and the Latin inscription “Pro Patria (for one’s country). The monument’s east face lists the names and regimental affiliations of 21 residents lost in the conflict. The north face honors 10 residents whose service was credited to other towns, and the west face lists 22 residents. 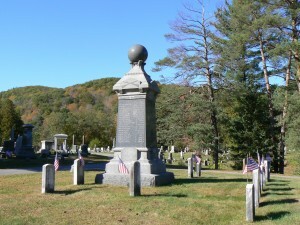 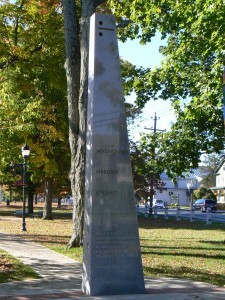 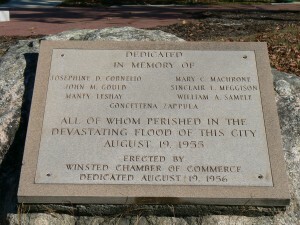 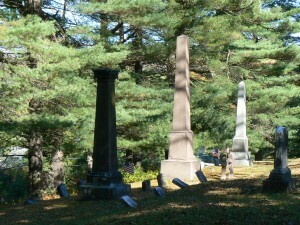 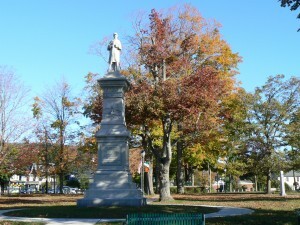 According to the Connecticut Historical Society, information about the monument’s designer or supplier isn’t readily available. The corners of the Civil War burial section have supports that once held round objects, such as cannonballs or granite spheres. 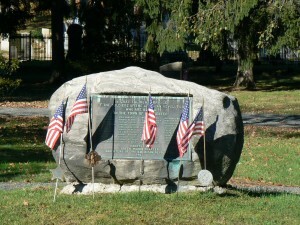 Cannonballs incorporated into Civil War monuments have been removed in several other Connecticut locations, often due to theft, vandalism or World War II scrap metal drives. 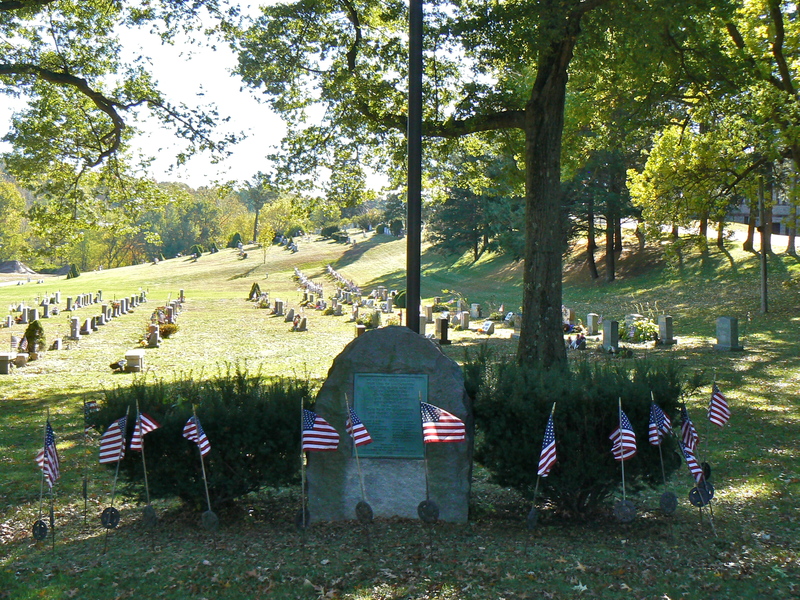 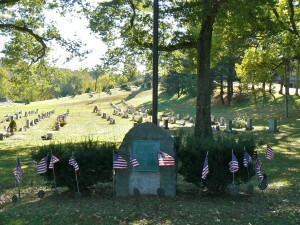 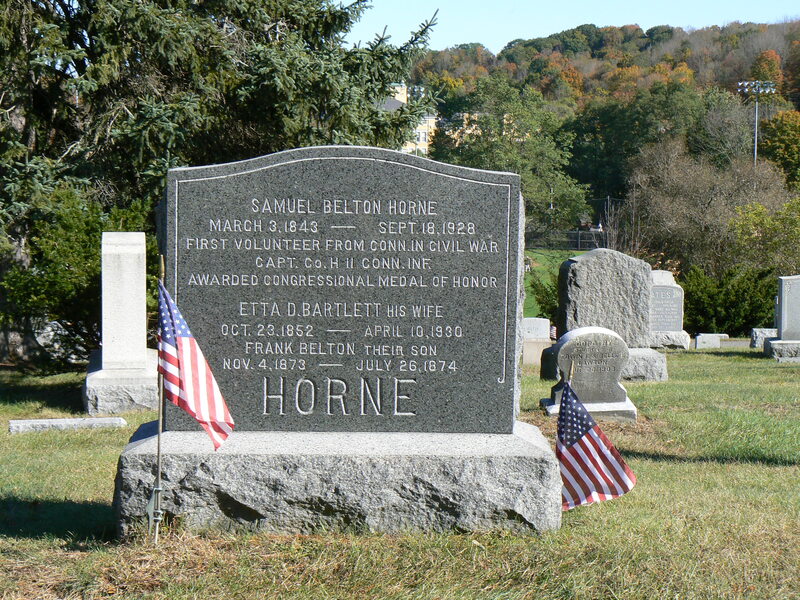 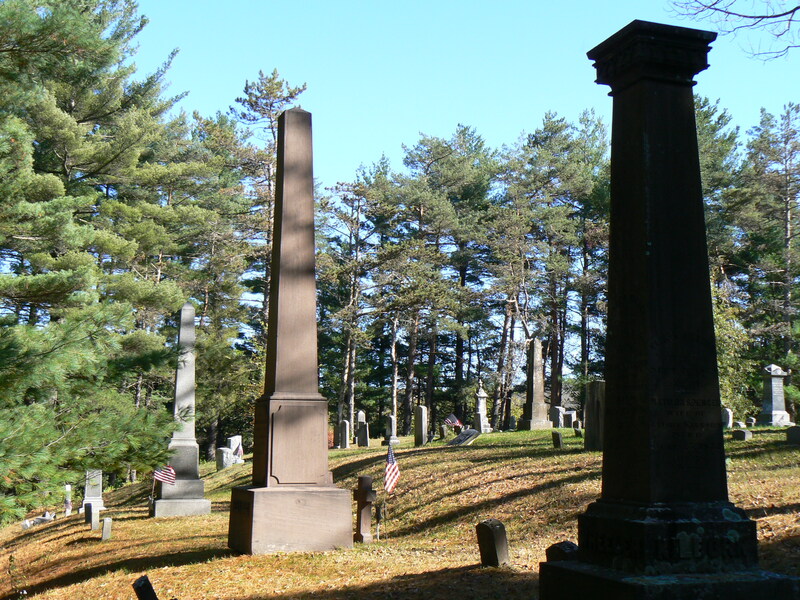 To the immediate north of the Civil War section is the burial place for Samuel Belton Horne, an Irish immigrant and Winsted resident who received a Congressional Medal of Honor for actions in 1864. Horne’s horse was shot out from under him while he was delivering a message during a battle at Fort Harrison, Virginia. 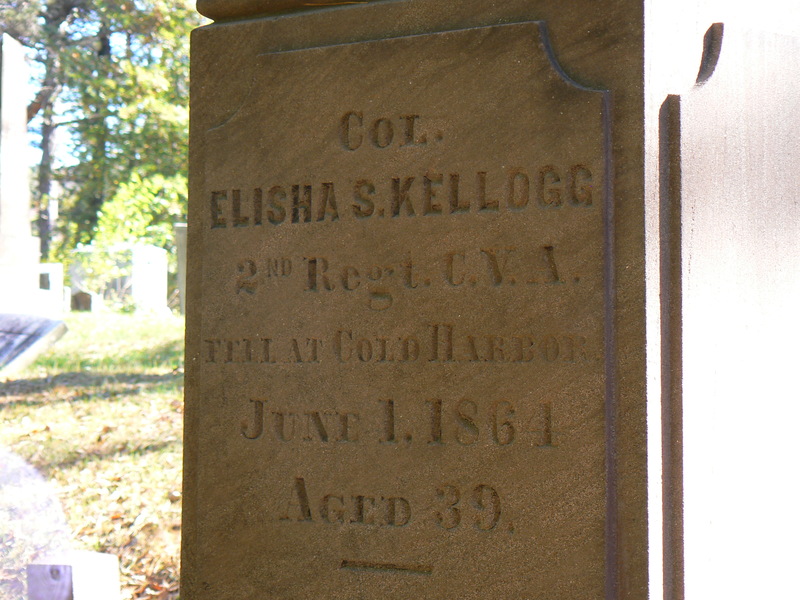 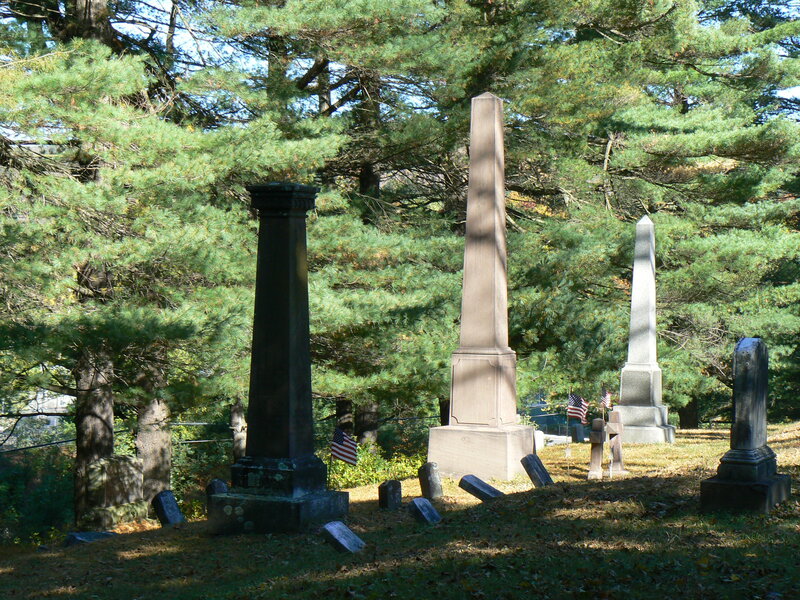 At the western edge of Forest View Cemetery is a brownstone obelisk marking the grave of Col. Elisha S. Kellogg, a member of the 2nd Regiment of the Connecticut Volunteer Artillery who was killed in 1864 during the Battle of Cold Harbor, Va.
Two crosses next to the obelisk mark the graves of Kellogg and his wife, Polly. 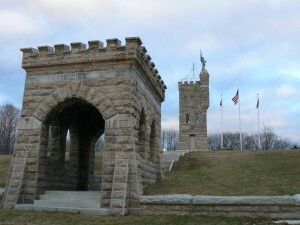 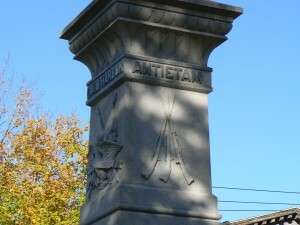 The Kellogg obelisk was repaired and cleaned in August by rangers from the Antietam battlefield as well as members of the Connecticut Civil War Roundtable and the 2nd Connecticut Heavy Artillery re-enactment group. 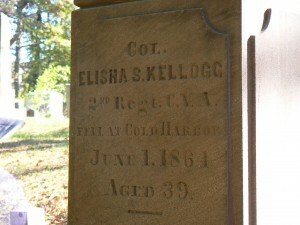 A number of graves near the Kellogg obelisk also list service in the Civil War. Near Forest View’s entrance on Torrington Road, a 1923 monument and a grove of trees honor Winchester’s World War I veterans. 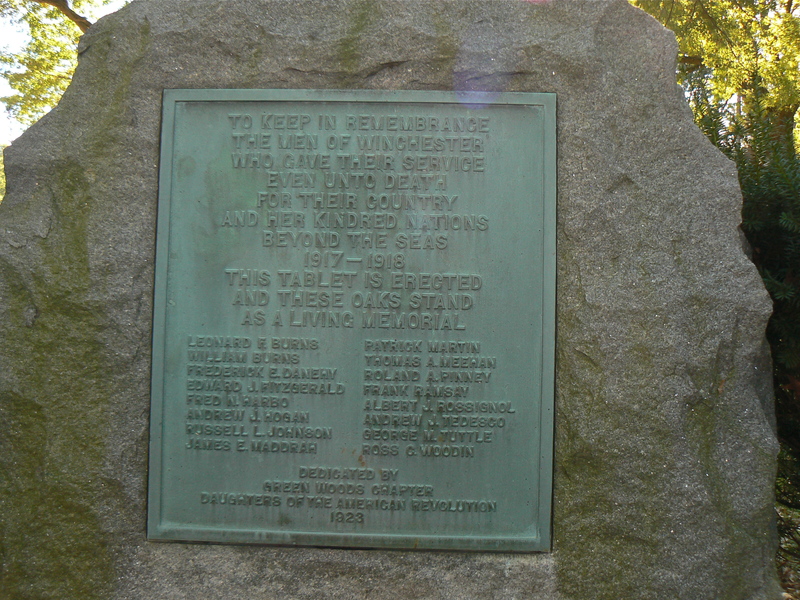 The plaque honors 16 residents lost in the First World War. 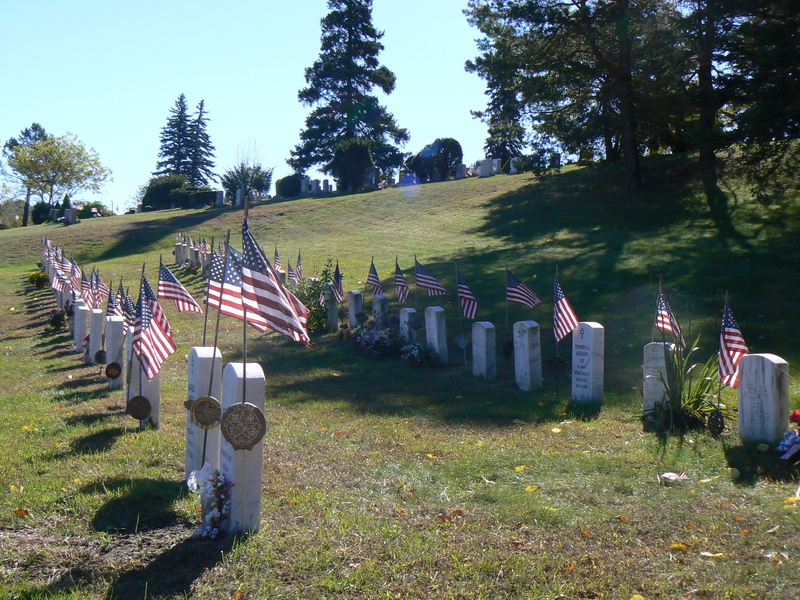 At the base of a hillside near the north end of the cemetery, two rows of graves honor veterans of more recent wars.